While we know about the danger of pollution on our environment and our health, did you know that it also negatively impacts our skin? Your skin is your body’s largest organ, and it is also highly absorbent. Therefore, when our atmosphere is filled with damaging pollutants from car exhaust, factories, and power plants, premature aging is often the end result. YIKES! But don’t worry, there are steps you can take to protect your skin from air pollution and maintain that youthful glow. Learn my top tips below! While it’s difficult to control the outdoor air quality, we can take measures to eliminate air pollutants indoors. By using natural cleaning products and a home air purifier, you’re stopping the problem at its source. 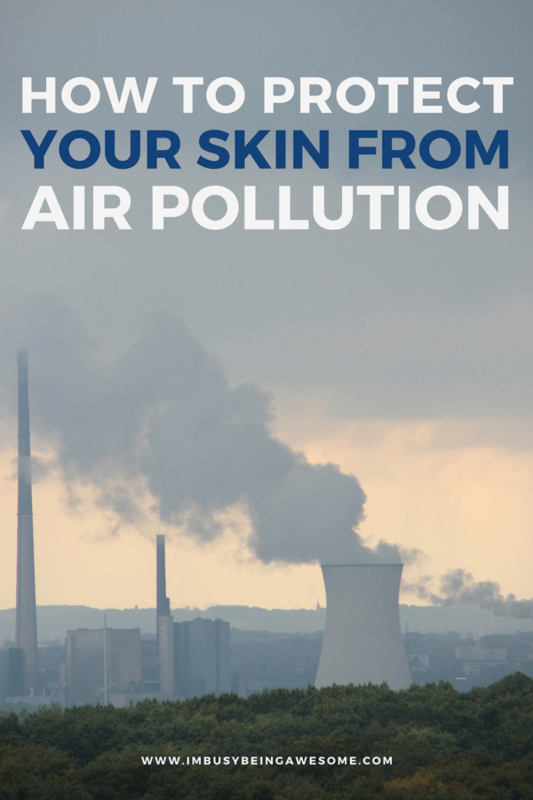 Air pollution impacts the skin’s ability to regulate moisture, which causes a loss of radiance and a ruddy complexion. By using products that block out pollutants, UV rays, and free radicals, however, you help protect your skin and reduce signs of aging. My favorite daily shield is SeneGence MakeSense AntiAging Foundation, which has both SenePlex Complex+ and SeneShield. These two powerhouse ingredients are some of the most advanced anti-aging and skin-protective technologies on the market today. Blended with moisturizers, vitamins, and minerals, this foundation keeps your skin soft, smooth, and healthy. What’s more, SenePlex is a unique combination of ingredients found in ALL of the SeneDerm Anti-Aging Systems and cosmetics. When it’s used regularly, it accelerates the cellular renewal on your skin. And you know what that means, right? Younger looking skin, naturally – woohoo! Take time twice a day to thoroughly cleanse your face. To maximize efficiency, I recommend using a 3-in-1 cleaner that works to cleanse, tone, and hydrate while removing dirt, bacteria, and oil. My favorite is the 3-in-1 SeneDerm Cleanser, which exfoliates while it cleans. Yes! After you’ve scrubbed your face clean, it’s time to trap in the moisture. Constant exposure to air pollution can weaken your skin’s ability to protect, but by moisturizing regularly, you help strengthen that barrier. Not sure which moisturizers you need? Check out my top favorites below! Hydration in its purest form, climate control is like a miracle in a bottle. Simply apply it day and night to your face, eye, and throat areas before you add moisturizers or EyeCrème. It helps even the driest, most damaged skin regain its moisture and healthy glow. Seriously, you’re going to love this stuff. This eye cream is a luxurious blend of vitamins and oils that protect your skin while working to diminish fine lines and wrinkles around your eyes. Wear under your favorite cosmetics during the day and slather it on at night before bed for healthy, youthful looking eyes. The SeneGence daytime moisturizer is a lightweight, daily moisturizer that provides anti-aging advantages while naturally hydrating your skin. What’s more, it helps protect your skin from oxidation and the environment with the help of SeneShield. Yes, please! Packed with even more SenePlex complex than the daytime moisturizer, this incredible product adds an extra layer of protection as you sleep. An extra rich skin cream, the evening moisturizer is a luxurious combination of ingredients that speeds up cell production and regeneration. Say goodbye to chapped lips with this miracle lip balm. Providing incredible anti-aging and restorative benefits thanks to the SenePlex complex, this lip balm is lightweight, fragrance-free, and perfect for day or night. So there you have it, friends! 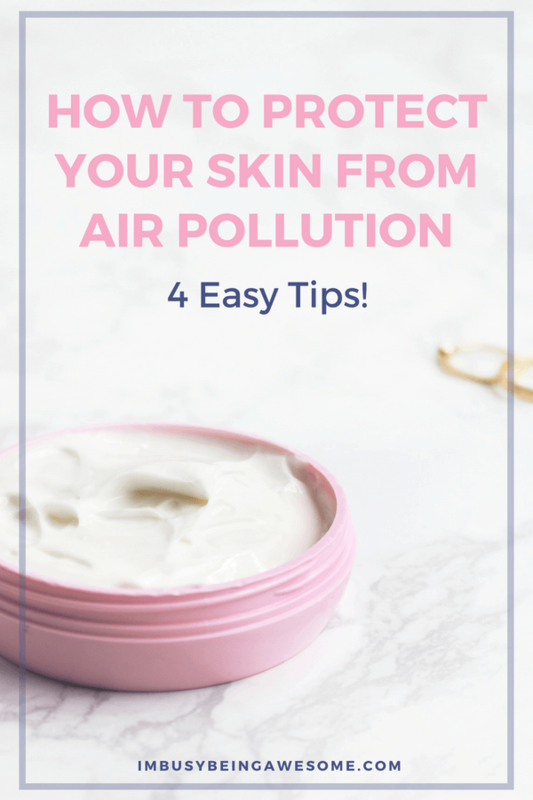 4 easy ways to protect your skin from air pollution: clear the air, shield your skin, wash your face, and stay moisturized. Do you want to learn more about these incredible skincare products? Then join my Effortless Beauty by Paula Facebook Group! I’ll help you build a personalized skincare routine that’s perfect for you. 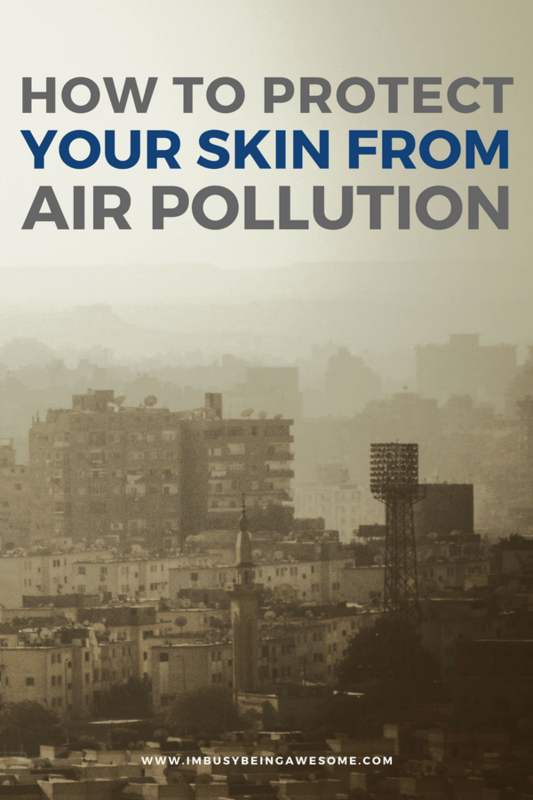 How do you protect your skin from pollutants? Let me know below!